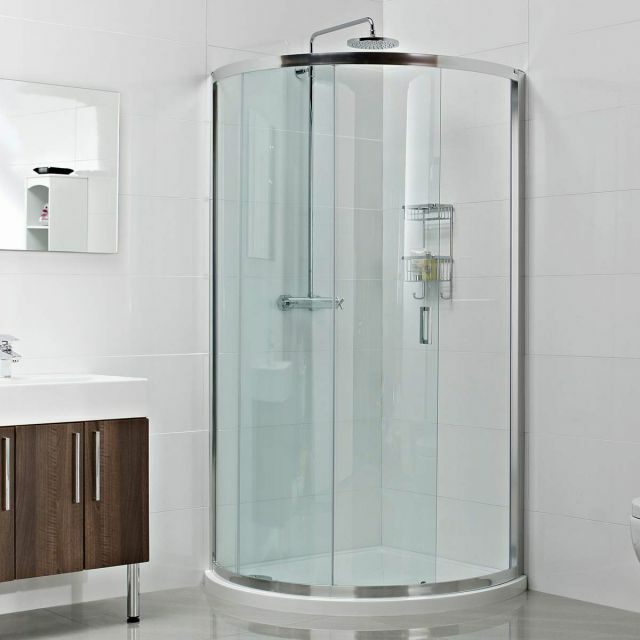 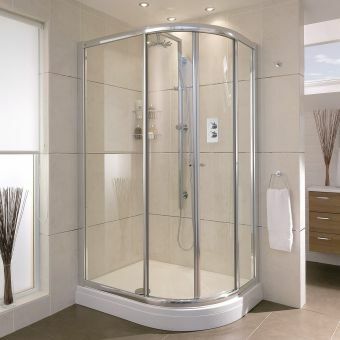 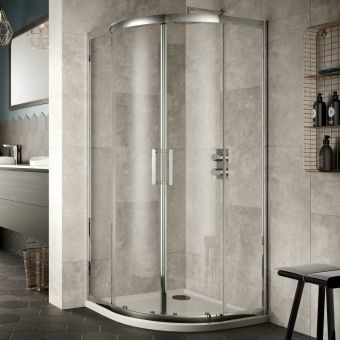 Trying to fit a decent sized shower enclosure into the smaller bathroom can be a testing experience but hopefully, Roman Showers' latest design will help you. 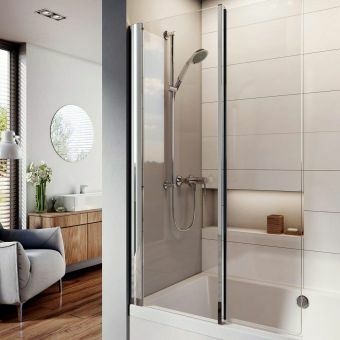 With the allure and appeal of the standard quadrant, the bow-fronted design pushes the front outwards into the bathroom instead of cutting it off making for a roomier and enticing space to have a shower. 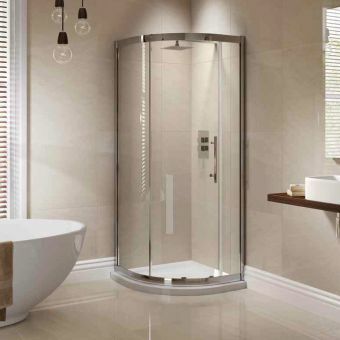 Typically, the offset enclosure increases the area from a 650x x1150mm wall space to accommodate a 1200 x 1000mm showering area, just like having your own Tardis!. 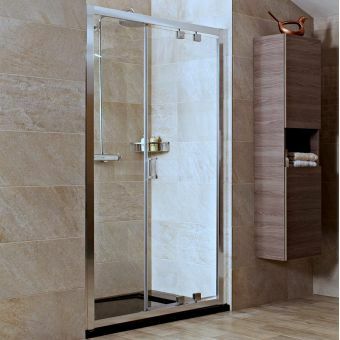 Three sizes are available to order; two standard sizes to suit trays 800 x 800mm and 900 x 900mm. 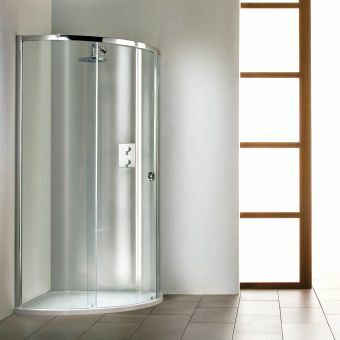 The larger, offset size, gains even more value with a diagonal measurement of 1410mm and comes in a left or right-handed configuration. 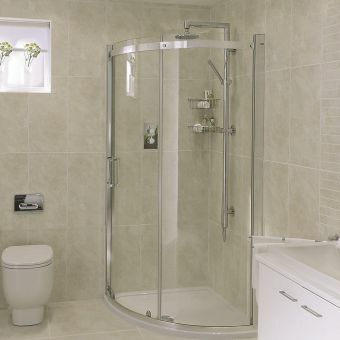 The glass can be fitted flush to the floor for a wet room style installation but is more commonly paired with a matching Roman Stone tray made specifically for these enclosures. 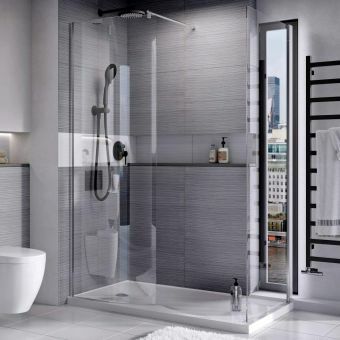 The Bow-fronted design has extraordinary design potential with the glass virtually cleaning itself thanks to its own bespoke glass application, innovation and expertise from a leading bathroom brand.